Nu Image Audio has been selling WeatherTech vehicle protection products for several years now. We are proud to be associated with an American company that hires American workers, uses American materials and builds their products in America. WeatherTech is an incredible success story. 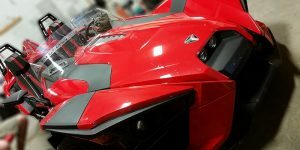 Since their founding in 1989, they have grown to become the world’s leading provider of vehicle protection products. When you want something that will fit right the first time and last for the life of your vehicle, WeatherTech is the brand to trust. The most popular products from WeatherTech at our shop are their digital fit floor liners. Most vehicles come with flat, carpeted floor mats that do a poor job of protecting the footwells in your car, truck or SUV. 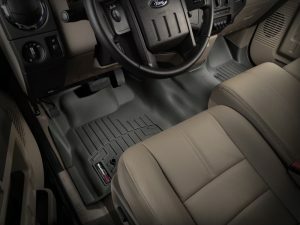 WeatherTech’s custom-fit floor liners use 3-D computer modeling technology to design a liner that fits the floor perfectly. Their unique design lets them hold up to a gallon of road grime, snow, slush and mud. When they get dirty, you simply remove them, dump out the contents and reinstall them. All the while, your carpet stays clean. Should the WeatherTech floor lines ever need to be cleaned, you can simply hose them off and reinstall them when dry. 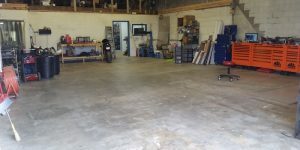 We have fitments for all popular vehicles and all rows of seating. Have you ever gotten home from the store, only to open your trunk and see something spilled all over the place? 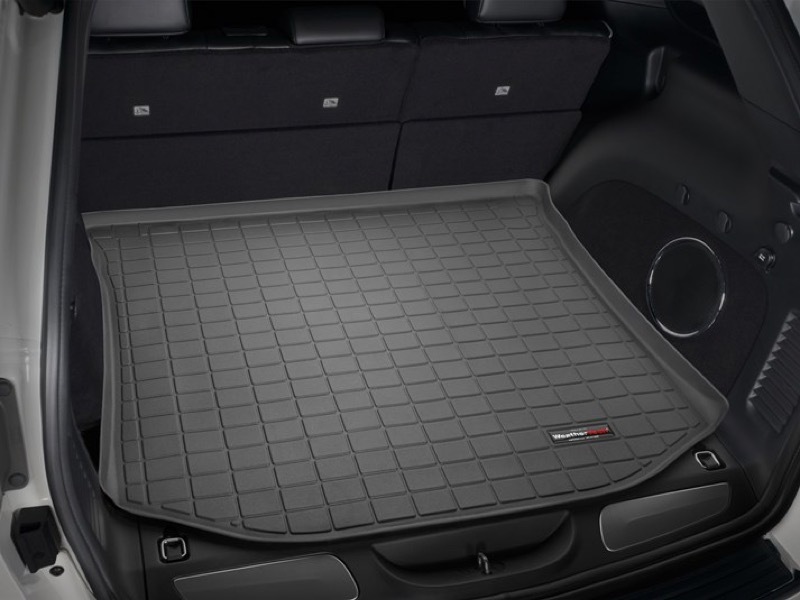 Wouldn’t it be nice if you could get something like a floor liner for your cargo area? Well, you can. The WeatherTech cargo liners are custom-fit for every vehicle and wrap up on the sides to hold spilled content such as milk, soda, cat litter, gardening supplies or anything else. You simply remove the liner, dump it out, hose it off and then reinstall it. All the while, your cargo area looks as good as new. Let’s say you are backing out of your parking spot and the unthinkable happens: You bump into something, ever so slightly, and the paint on your bumper is now messed up. 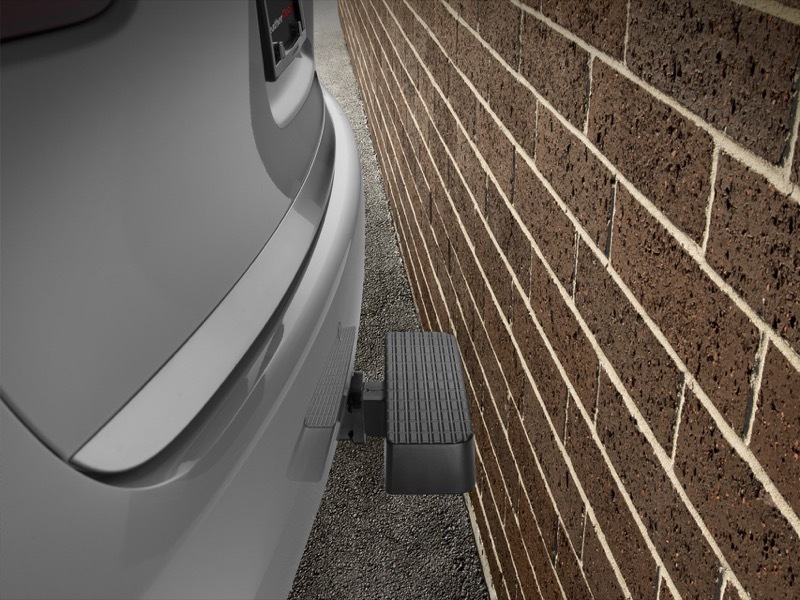 The Bumpstep from WeatherTech can help prevent these minor bumper damages. You simply install it in your hitch. Now, when you back up, it comes into contact with whatever is behind you, saving your paint. It also does the same thing if someone behind you bumps into your vehicle. It also works great as a step to reach the roof of your SUV or minivan, whether for cleaning it or removing something from the roof rack. If you are like most people, you love fresh air, but you hate all the wind noise created by opening your windows. The side window deflectors from WeatherTech mount inside the window channels of your doors, allowing you to get fresh air into your vehicle with dramatically reduced noise. They also work great when it is raining outside. Now you can get the air you want and keep the noise and precipitation outside where it belongs. The deflectors are made of a smoked plastic that adds a classy touch to any vehicle. 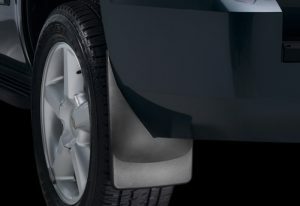 The patented no-drill mud flaps from WeatherTech help prevent road grime from being splashed onto the side of your vehicle. It will stay clean longer and help protect your finish from stone chips. 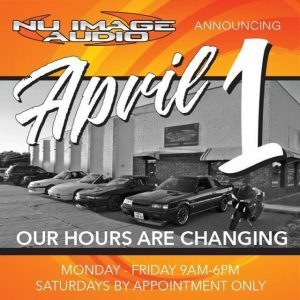 We invite you to stop by Nu Image Audio and get to know us better. 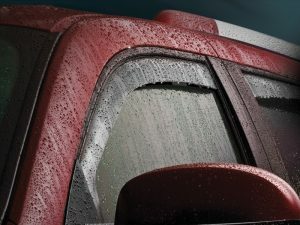 Let us show you why more and more people every year choose to buy their WeatherTech vehicle protection products from us. You can also click HERE for more information about any of our products and services.